RECENT salary pension transfers I have been involved with, including British Airways and BT, have prompted me to consider their ‘gold-plated’ image and whether you may be better off transferring out to a Self-Invested Pension Plan (SIPP) or a Qualifying Recognised Overseas Pension Scheme (QROPS). TRANSFER DILEMMA: When and to where is best to move over your pension? Ask your pension trustees to send you a Cash Equivalent Transfer Value (CETV) and you may be shocked by the size of the sum involved. The British Airways Scheme recently offered over £500,000 transfer value to a member whose pension entitlement would be £20,833 at retirement. That’s 24 times the income. 2. Ongoing benefits for your spouse or even children. 3. Certainty that the income is life-long. 4. Index-linked income protecting you from inflation. 5. Lack of Investment risk – whilst the assets in the pension scheme will be invested in commercial property, shares, bonds etc. The value of your benefits will not be affected by the volatility of these markets. All ‘gold plated’ benefits I’m sure you will agree. But all that glitters is not necessarily gold! The trouble is with today’s low interest rate, volatile times hamper the ability of a Pension Scheme trustees to ensure that your Final Salary Pension Scheme remains well funded. Many schemes have entered the Pension Protection Fund due to being seriously under-funded. Household names like MG Rover, Asprey, Royal Worcester, Woolworths, Dyson, Thomson Directories, Kodak, Monarch and many hundreds more. In all, over 230,000 scheme members have been affected. Today’s low interest environment in the UK means that Final Salary Schemes are obliged by the actuarial calculations used to offer significant lump to transfer. Your company pension is being managed for all employees and trustees are bound by strict rules as to how and in what they can invest. This limits the potential up-side in favour of protecting benefits. Part of the reason why so many schemes are under-funded now. With a QROPS or SIPP, you are in the driving seat as to where you invest and how much or how little risk you take. With a Final Salary Scheme how and when your income is paid is fixed and whist this is guaranteed, you have no flexibility in how your income is taken. Increased flexibility following a transfer means you can decide how you take income. You may like more income in the early years of retirement whilst you are active and less later. Transferring to a Flexible Access Drawdown arrangement within a QROPS or SIPP makes this possible. Will your employer exist in 20 years? Look at Monarch, pilots had a Final Salary Pension which entered the Pension Protection Fund (PPF) in 2016 after being £660 million in deficit, and look where Monarch are now. We know of one pilot who was due to retire on £70000 guaranteed whose pension was PPF capped at £26,572. Typically, a Final Salary Scheme will pay a lump sum on death with possibly a residual pension of 50% for your spouse. With a QROPS or SIPP you can pass the fund to the next generation (useful for inheritance tax planning). If you are 55 or over you can access your SIPP or QROPS benefits as you wish. If you want to retire at 55 that is fine. 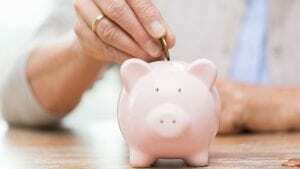 With a Final Salary Scheme, you may have to wait until the scheme retirement age of 60 or 65. Pensions are very complex and as always, professional Financial Advice is important. The UK Regulator recognises will not permit transfers over £30,000 without specialist pension transfer advice. Worth noting is that for a transfer below £100,000, the cost of transfer is likely to outweigh the benefits and most advice firms would advise leaving well alone.